Spectrum Services has one of the most unique and productive call centers in the United States. With more than 20 years in the call center business, Spectrum Services has a proven track record of producing outstanding results for our clients. We offer real calls, made by real operators, using real scripts provided by you. We do not outsource this important service offshore. Our staff of well trained operators is fluent in both English and Spanish and work out of our corporate offices in Norcross, Georgia. We only make live professional calls to your customers. We do not use pre-recorded messages. Spectrum Services invests in call center technology. 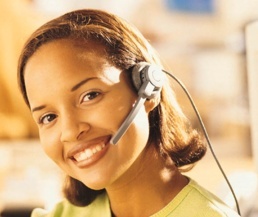 Using our state of the art software, we make more than 325,000 calls per month. Although many of these calls are service, shopper or sales calls for the automobile industry, we also make calls for motorcycle dealers; RV dealers; boat dealers; financial and medical institutions; broadcast companies and political organizations. After conducting live customer/client interviews, Spectrum Services provides each client with summary data and verbatims. These reports are submitted to you on a very timely basis. At Spectrum Services our operators reflect the proper image of your company. We maintain the image you worked to create. With more than 20 years in the call center business our reputation is impeccable. The result is that you will have more customers who appreciate your commitment to great customer service. Ultimately, this leads to incremental business for you. Our list of clients is very extensive and we look forward to working with you to do your customer satisfaction calls. Contact Jeff Weekley at 770-449-1776 to discover how Spectrum Services can help you monitor your customers’ satisfaction. ©Spectrum Services 2003. All rights reserved. A Renaissance Communications Group Web Strategy.